Tan Fanttalio comes with a Stunning Gold Gancio, which is really a treat for eyes. The Leather used in it is soft grained calf leather with the latest engineered driving sole. Inspired by the shoes art of Vigevano (a small town in Italy). Bit Laofer Fanttalio is a prize itself. Tan Milled calf leather isn’t the only great thing about it. Superior Quality Goat Skin Inner. Mosocan from our new summer collection features Sharp looks bears comfort all over. 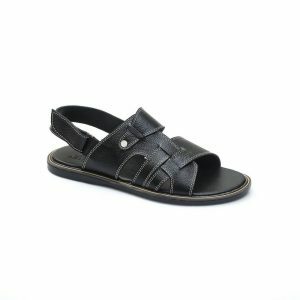 Crafted from soft cow milled leather, this sandal brings relax feels, luxuries altogether. 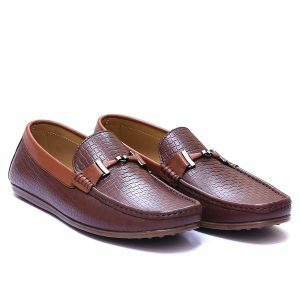 Burgundy ND-003 is trendy casual Loafer made from genuine cow skin, Its stylish buckle is the key attraction as it snatches eyes almost every time it gets a look, the all new rubber sole is packed with powerfull grip and extra luxury. Barlira is made of Soft Calf Skin Straps joined to look way ahead of the rest.Its Hand-Stitched with care to ensure longevity.Its New Imported Rubber Sole makes it unique and a must have. 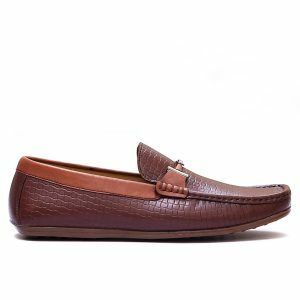 Churchili is a modernly styled loafer designed to be loved at first sight due to its tidy finish. Churchili is wrapped up with contrasting Ribbon around the upper giving its reason to be in the spotlight. It is softly padded loafer with extra cushioning for comfort and luxury. Its pure pleasure to walk. 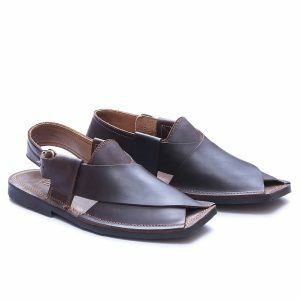 The most demanded dark brown Charsadda sandals famously called Peshawari chappals have been fashion signature for nearly every Pakistani. Worth having in your wardrobe. 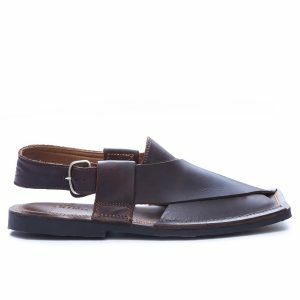 Black Olberic, a Turks Inspired Sandal is absolutely a gift a Black Color Lovers, It Smart, Soft and Flexible, Made with supreme quality Calf Leather is always a choice for adventurous outing. Brown Olivars stands apart due to its Stylish printed cow leather with an awesome finish. Olivars is topped with a Silver Horsebit which is partly leather coated. It’s softest padding gives ultimate pleasure in casual and long walks.